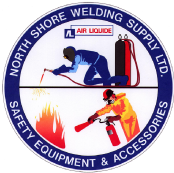 Find the welding supplies, industrial gases and safety equipment that you need at North Shore Welding Supply Ltd. Our team of professionals has been serving the community for decades, and our reputation for excellence is built on a desire to go above and beyond your expectations. You can give us a call or send an email if you have any questions, or you can visit one of our store locations during regular business hours. We have also provided a convenient contact form online, which you can complete and submit. Any inquiries that we receive through the online form will be responded to in a timely manner.